My parents own a farm, so they don’t have time to go on very many dates. 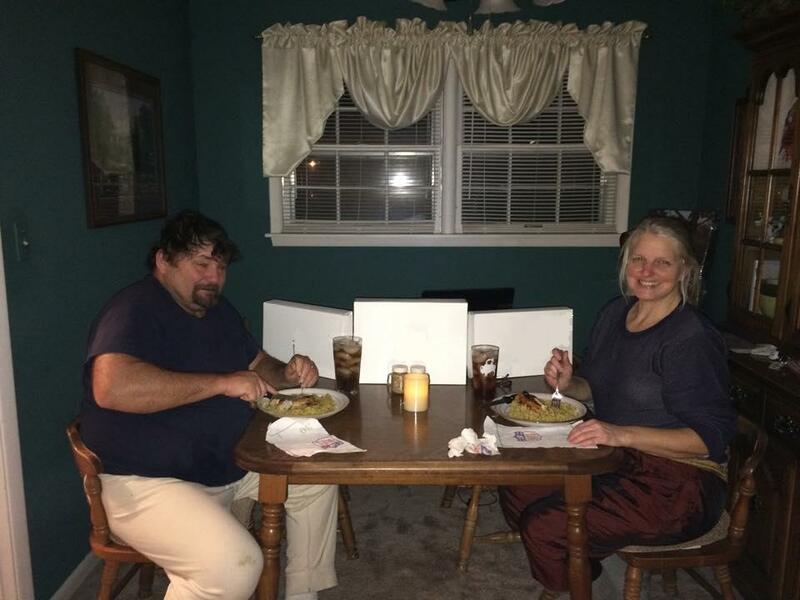 I made them dinner at home, complete with music, candlelight, and dessert! They ate, they danced, they cried. It may not be much, but they loved it, and I love them! They came in, washed up from the farm, and had a seat. My dad used to sing Tim McGraw like nobody’s business so I had a playlist set up and started it once they sat down. I came out of my room a little while later to see them slow dancing in the living room to one of their favorites, “Remember When” by Alan Jackson. I snuck around to the kitchen to get dessert ready and set it out for when they were finished dancing. We had a girl’s night awhile back and I remember my mom sharing cute stories like their first kiss, how he asked her out, stuff like that. I realized that my mom is more than a mom, but she’s the other half to my dad. I thought a small date would send those same sparks flying and they could be cute and flirt just like when they first met. Here is an idea for your parents. Suggest you go out for the evening too!! I love it. I have seven siblings and we did this several times (translated: not nearly enough). Children thrive when they know their parents live each other. Such a good way for kids to say thanks and encourage their parents. So beautiful!! How precious an idea for a child to give to their parents. You truly are a sweetheart! The little things can make such a huge difference. They are obviously doing a great job as parents. Bless your heart, bless their hearts. I love the smile on your beautiful mom’s face. Beautiful simple thoughtful wonderful memory making. What a wonderful story. It gives me a great idea for my own anniversary coming up. It’s hard for my husband and I to get out for a “date night”, but I know my kids would love doing something like this. Thanks for sharing.